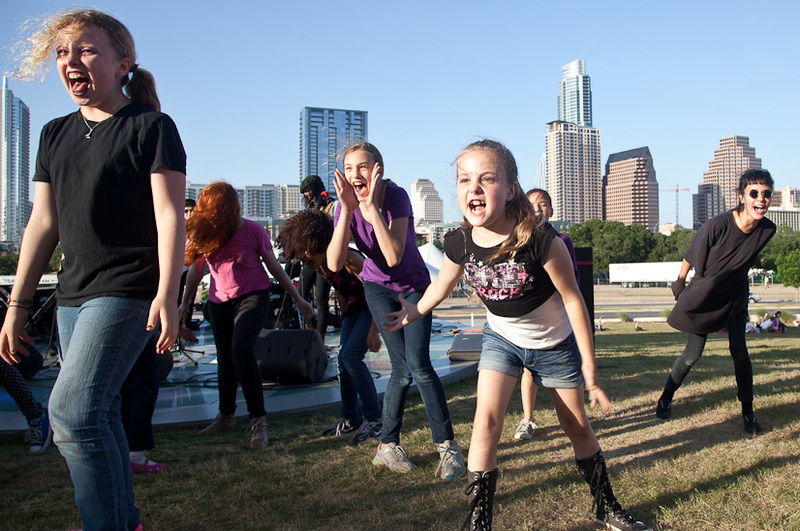 Inspired by the Riot Grrrl and women’s punk movement, Invasion of the New Grrrl Order featured 100+ teen and pre-teen girls in an outdoor performance on the grounds and terrace of the Long Center to kick off the 2012 Fusebox Festival. 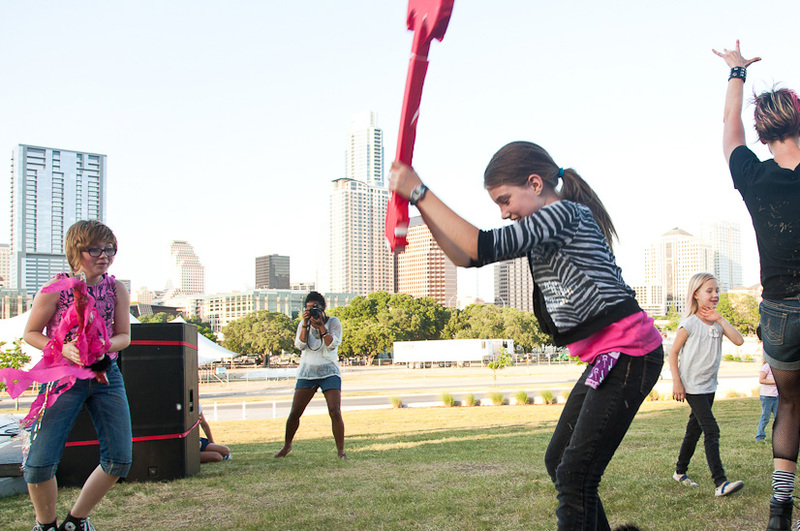 Accompanied by the celebrated punk band The Coathangers and Austin-based DJ Mahealani, the performance – music directed by Emily Marks – featured original poetry and performances by the participating girls. 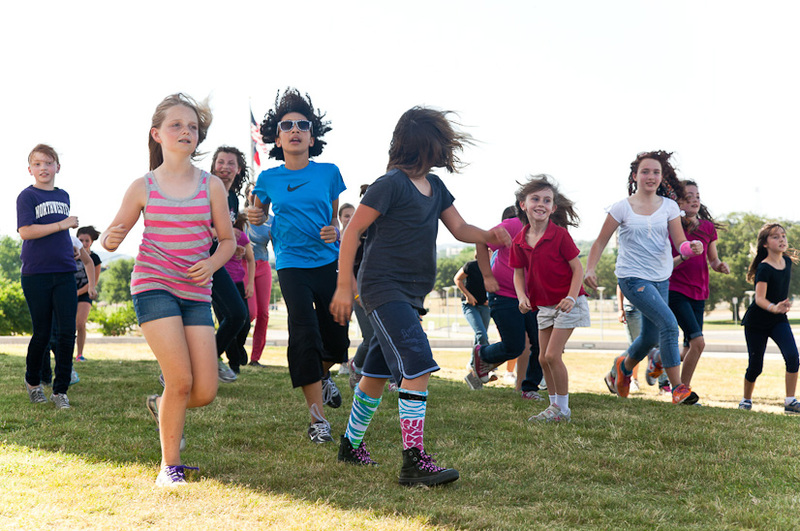 The dance concluded with a grand finale to Bikini Kill’s Rebel Girl, after which the girls reveled in smashing 100 homemade paper mache guitars. ©2019 Forklift Danceworks. All Rights Reserved.